Dragon . . . I had been aware of the brand for a long time, I am not sure when I first noticed it, but it feels like that iconic dragon logo had been around the mountains for some time; in fact since 1993 to be precise, originated by Will Howard of California. Of course, like all the best products out there it began in his garage . . . it is only a matter of time until we can start sticking plaques on people’s garages to show where some of the greatest inventions were born. It was within the field of surfing and dirt bikes that Dragon sunglasses were created, with the opportunity of snow goggles soon presenting itself not long after. 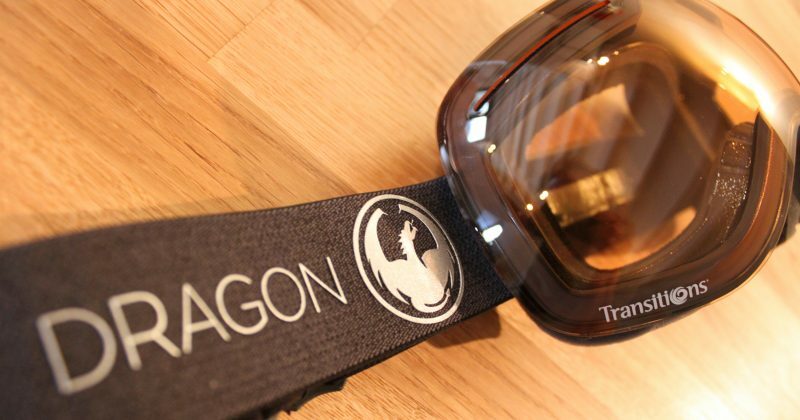 Aligning itself with some of the best snowboarders, the company went from strength to strength coming up with the original frameless goggles and working with its riders to create and tweak its designs to perfection. 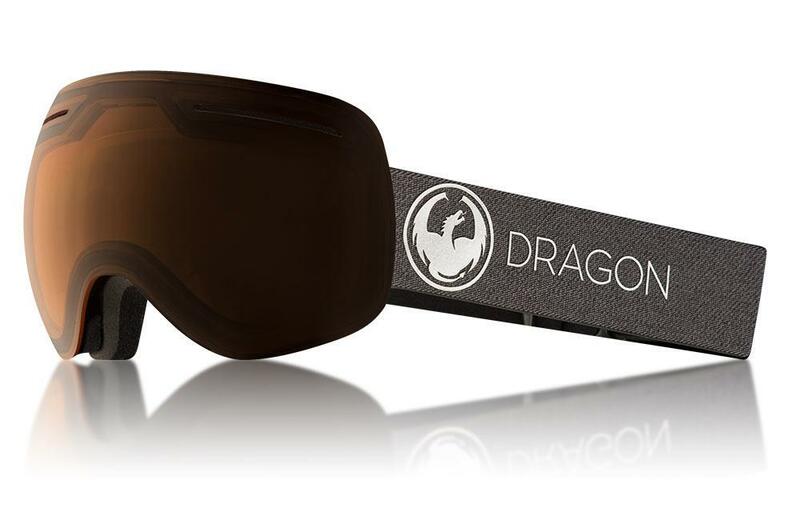 Over 15 years later and Dragon stands firm as one of the top technical, functional and let’s face it, coolest eyewear brands on the market for riders of snow, water and dirt! 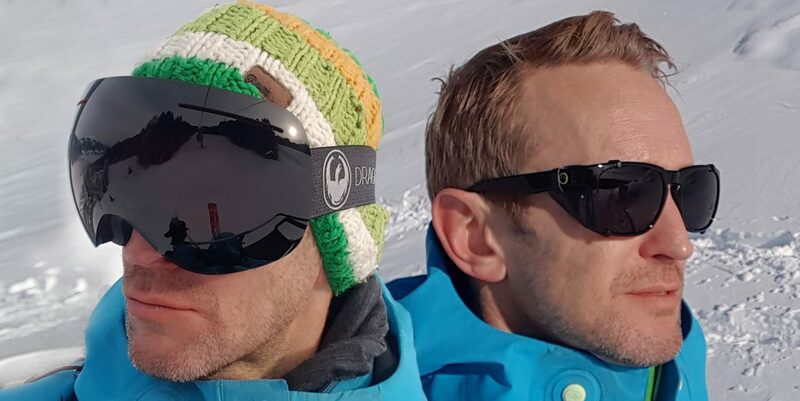 I wanted to test some of Dragon’s most technical eyewear for the mountain, so first up it was time to look at the Mountaineer X – Jet with Glacial Dark Copper Lens. 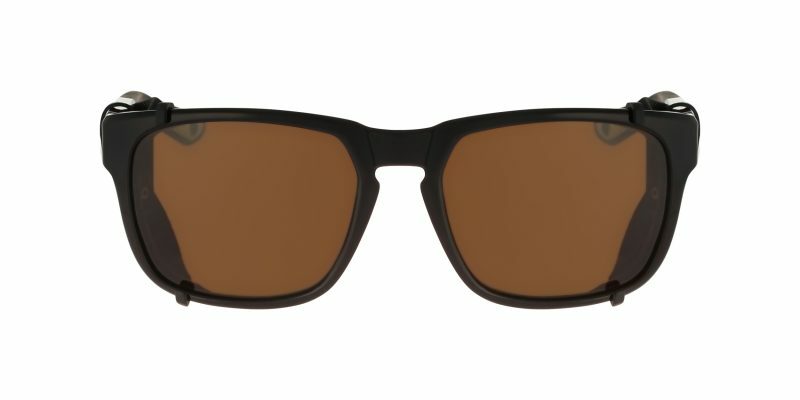 The design harks back to the vintage sunglasses that have been used in the mountains for decades, with classic leather side blinkers or sun shields to help avoid snow blindness, but the actual shape of the glasses echos a classic 1950’s shape. 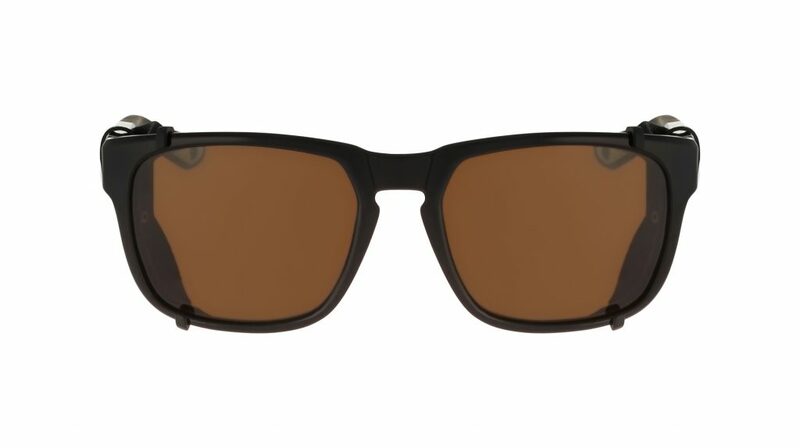 These glasses are like chameleons, and seem to have several possible looks depending on what you are up to. 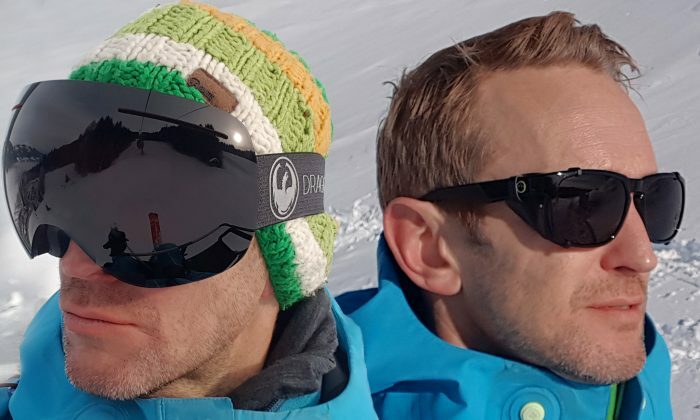 Whilst ski touring or splitboarding, one can wear the glasses with the leather sun shields, and then remove them to improve the peripheral vision when on the descent. However, they also have a clever system where one can change the arms and how they sit or hold onto the ears, so they could be worn whilst climbing without the threat of them slipping or knocking off the face. There is also an detachable lanyard for that school teacher/mountaineer vibe. However, I could also wear these around the city without the attachments and no one would know that I am ready for action at the drop of a hat. The sunglasses are part of ‘X Performance’ collection meaning that the sunglasses come with Adaptive Technology, adapting to the various pursuits through these various design features. It goes without saying that the dark copper lenses were the perfect colour for all the conditions that the mountain could throw at me from bright sunlight to flat light. I think I will be sharing many varied adventures with these sunglasses. 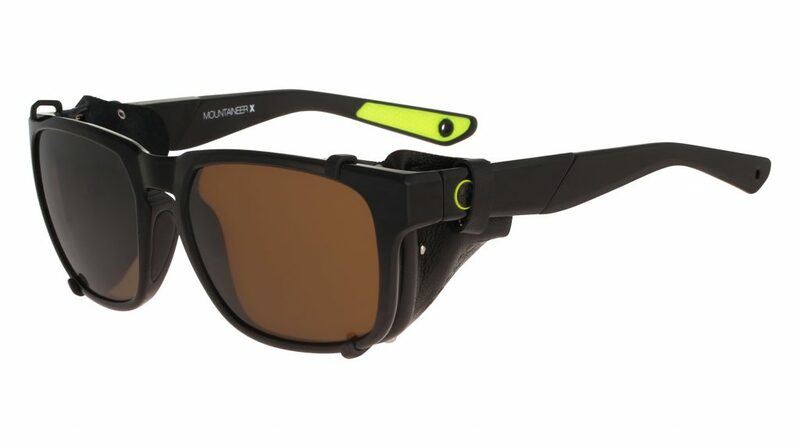 The next model to look at were goggles with Transitions® Technology, whereby the lenses change tint to adapt to the changing sunlight and mountain weather conditions. When the sun shows itself the lens technology darkens thus protecting the eyes and when the clouds come in and steal the light the lens tone moves to a lighter shade. I was going to put the premium model X1 – Echo with Transitions Amber Lens to the test. As the original frameless goggle, the next step in its evolution was to put the Transition Tech lenses on these goggles, keeping these at the forefront of goggle design. The frameless design gave a very wide field of vision with good peripheral views and sat comfortably on the face without restricting and pressing on the nasal airways, there is also a smaller model, the X1s that fits medium sized heads too. The Amber coloured lens worked well especially in the flat light, it seemed to improve the contrast and I kept thinking that the sun was out, when in fact the lens seemed to making the environment look brighter and better than it actually was. At all times, the vision was clear and precise, no matter what the environment was throwing at me, and the goggles did not fog up at all. When it comes to mountain snowsports, there are several things that are important to make sure one can achieve maximum performance. Keeping warm is high up on that list, comfortable fit is very important, but being able to see what lies ahead in all weather conditions has got to be at the top of that list. Both Dragon glasses and goggles provided perfect vision through every part of my experience; I particularly appreciated the way that I could adapt the glasses and the way that the goggles adapted by themselves, something I would never want to go without in the future. Make sure the next time you head to the mountains you take a Dragon with you. For more information on Dragon and other styles available see online.